The seven deaths involved various crashes in accidents. Two employees were crushed to death by warehouse forklifts, and another died after being run over by a truck. A fourth employee died in an accident involving an SUV driver, and another worker died of a fatal heart-associated incident that occurred while working overnight. The sixth employee was crushed to death by a pallet loader, and the seventh employee was crushed by an Amazon conveyor belt. Business insiders estimate that Amazon delivers over 600 million packages each year, which is nearly two million packages each day, which equals almost two delivered boxes for every American. Fulfilling these orders requires a tremendous, efficient workforce of Amazon warehouse workers, 18-Wheeler truckers, planes, and delivery vans to manage inventories, fulfill orders, and deliver boxes across the nation every day. Amazon enjoys a lucrative partnership with private delivery companies including FedEx, UPS, DHL, and the US Postal Service. In addition to using private delivery companies, Amazon has begun delivering packages in company vans and has contracted drivers who use their own personal vehicle, which has proven to be extremely dangerous for the delivery drivers eager to earn a living by delivering dozens of packages on tight schedules of four hours or less. Most Amazon jobs are physically demanding, and the expectations of the management can be extremely high. Many of the serious accidents injuring and killing Amazon employees occur at the warehouse. The most common demanding job at the fulfillment centers are “pickers” who must fetch orders off the shelves to be boxed, packaged, and shipped to Amazon consumers nationwide. Usually, the merchandise picker will hold a scanner gun throughout the shift and run from one wall to another filling an order on an assigned list. Many pickers will walk twelve miles or more during their eight-hour shift. Managers contract the worker by the information sent to the company computers to the hand-held scanners to determine precisely the amount of time it takes to fulfill orders. Failing to keep up with workplace demands could cost the employee their job. 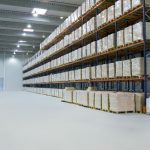 However, keeping up at the fulfillment center or out on delivery to maintain a hectic, chaotic schedule could cause severe paralysis injury and, in some cases, death. To manage productivity, Amazon uses satellite navigation technology to track the worker and prompt them to move throughout the facility using the shortest route to pick the next item for delivery. If the worker cannot meet their goals promptly, they are often received a warning during the shift. Habitual poor performers are usually fired. The Guardian investigated the problem at an Amazon warehouse after an employee shared her story on a YouTube channel on how she lost her home after hurting her back in an Amazon warehouse. The 49-year-old employee stated that her workstation was not equipped with safety gear that prevents products from falling off the shelf to the ground. The employee stated that she injured her back by working in awkward positions and using a company tote bin to replace the missing equipment. Her injuries left her with the inability to stretch out her right arm which caused challenges to keep up with the hectic demands of fulfilling orders. Her employer offered a heating pad to treat her back but told her to go home every day without pay if she was unable to work. This scenario went on for nine months until Amazon offered the employee a week’s paid to take leave. It took until June 2018 before Amazon fixed the workstation by installing the proper safety equipment. During that time, she lost her home and began living out of her car in the Amazon fulfillment warehouse parking lot. During this time, the injured employee was dropped by Amazon’s worker’s compensation insurance company. To make the problem go away, Amazon offered the injured employee a $3500 buyout but only if she agreed to sign an NDA (nondisclosure agreement) to stay silent about her experience and not make any derogatory statements about the company. Additionally, Amazon employees working at the company warehouse in Allentown, Pennsylvania reported an incident in June 2011 when temperatures inside the warehouse exceeded 100°. During this incident, fifteen workers collapsed, and even though the management knew they were suffering heat stress, the injured employees were given disciplinary point deductions that had the potential to lose their job. The emergency room doctor who treated the injured Amazon workers for heat stress contacted OSHA (Occupational Safety and Health Administration) over concerns of unacceptable workplace conditions at the fulfillment center. The management at Amazon knew that there was a problem at the time because they paid for ambulance transport of the injured victims to the emergency room when necessary. Some Amazon employees have sued the company over concerns about their lunch breaks. All employees are required to complete their tasks before clocking out for a 30-minute break or lunchtime. Many workers have reported they are being physically abused and harassed by their managers who reprimand them about their lack of maintaining acceptable productivity. Some employees have stated that when a worker suffers an injury on the job, they are pressured by management to claim that their injuries are the result of a pre-existing medical problem, so Amazon will not be hit by OSHA for unacceptable working conditions. In 2014, OSHA announced that they would begin investigating Amazon concerning deaths at the warehouse, including the death of a 52-year-old worker at the Carlisle, Pennsylvania fulfillment center. The employee was working with a motorized pallet jack when it collided with shelving. Doctors determined the employee died of multiple blunt force injuries. In the previous December, OSHA completed the investigation of a New Jersey Amazon fulfillment center employee’s death. In that incident, the 57-year-old worker was sorting merchandise when he became caught in the warehouse conveyor belt and dragged. The employee was transported to the local hospital where he succumbed to his injuries. OSHA cited Genco, a temporary staffing agency company contracted by Amazon, for a serious violation because they did not certify that a hazardous assessment of the facility was conducted before they assigned employees to work at the warehouse.